COTA LTDA. has taken up the commitment to reduce and transform the environmental impact resulting from industrial activity. 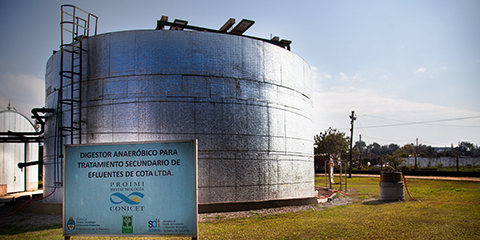 In view of this we have a modern plant for the treatment of wastewater coming from the production process. By means of a biological reactor we are able to transform the negative impact into a positive one for the environment. This device s operational thanks to the hard work of our local human resources, both scientific and technical, and the collaboration of prestigious institutions like PROIMI and CONICET. Moreover, we use UFRO (ultrafiltration and reversed osmosis) equipment for the cleansing and purification of industrial effluent water. Our environmental management is defined by the sustainable policies of COTA LTDA., which promotes environmental care at all levels of production.